Home News We’re tickled pink to announce our coloured polycarbonate glazing solution! 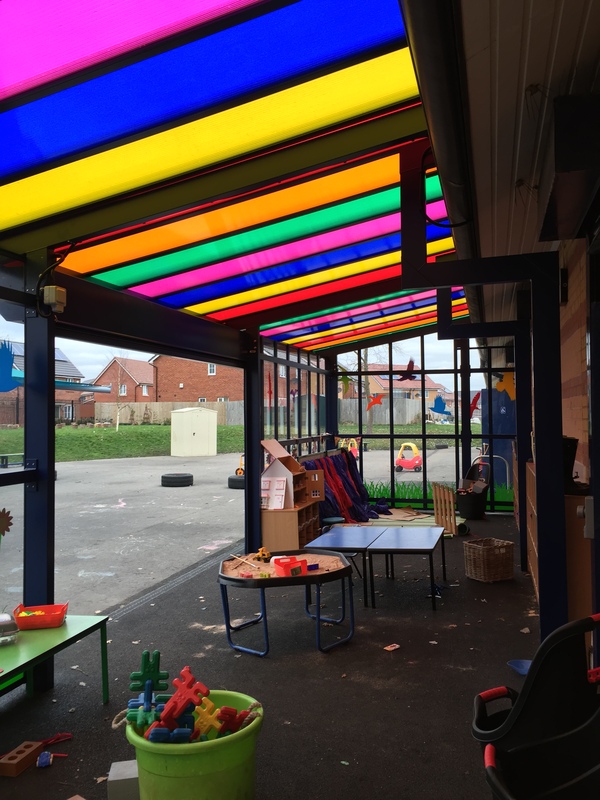 Canopies and walkways with coloured polycarbonate glazing panels can totally transform an outdoor space, especially in a educational or commercial setting. 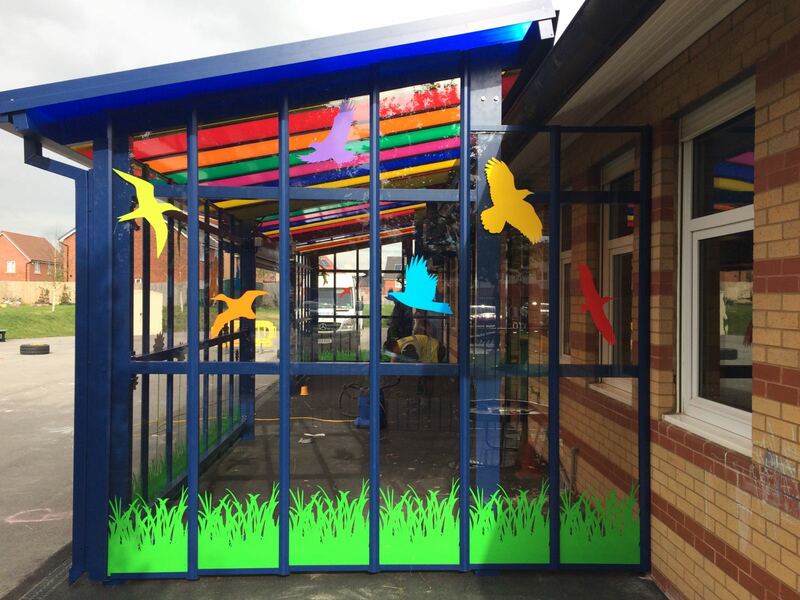 If you are thinking of ways to create a stand out covered area, then why not consider adding a splash of colour to your polycarbonate glazing. 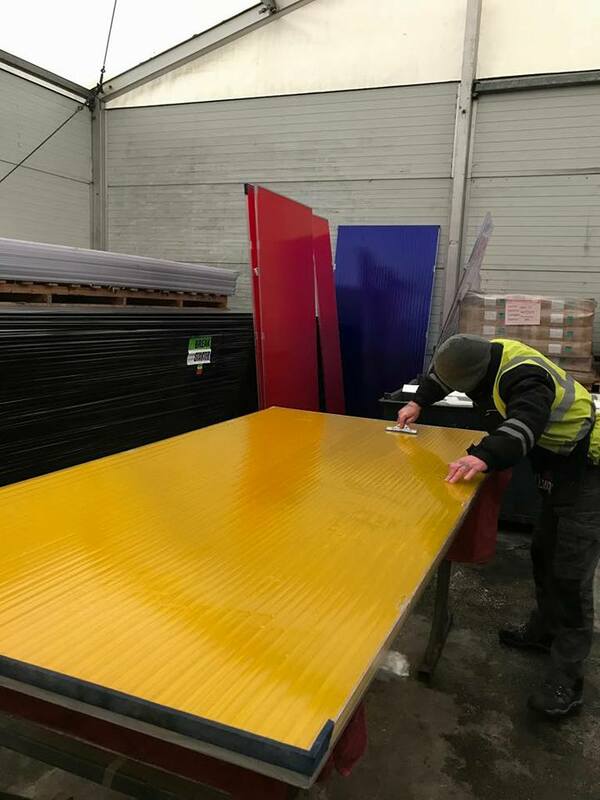 Coloured polycarbonate has been available to buy for many years, but is often subject to large minimum order levels which are not convenient for smaller projects or restricted budgets. We are excited to now be able to offer a solution to this often frustrating problem. By applying transparent or translucent window film to either solid or multiwall polycarbonate glazing sheets we can completely alter their appearance from ordinary to extraordinary. This process has enabled us to make projects that for some were not financially feasible into a real design and build possibility. You can choose from standard colours or push the boat out with silver or gold effect. If you intend to fix your glazing sheets using glazing bars, then many of ours are available in a plain aluminium (mill) finish that can be powder coated to any RAL colour of your choice. The design possibilities are endless. Call 01925 826314 to discuss your requirements.